Get ready to Fall for an Amazing One Bedroom Wonder Home! 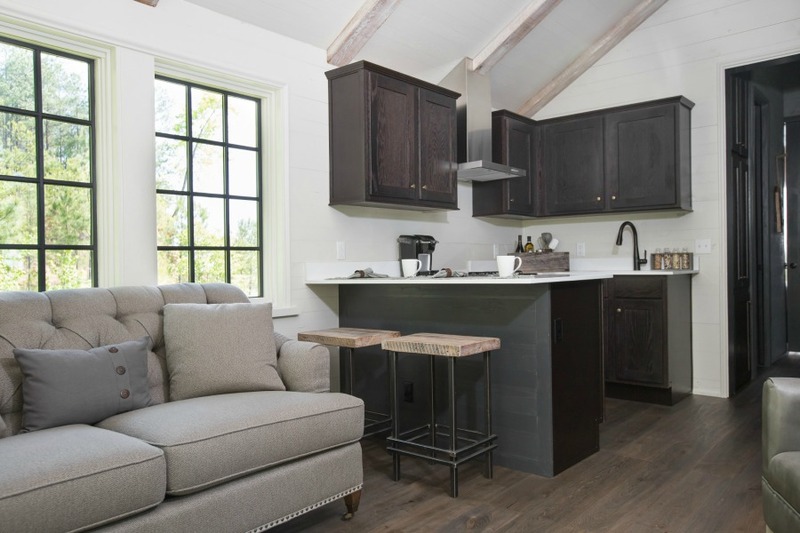 You are likely acquainted with the work of the exceptionally brilliant architect Jeffrey Dungan, yet you may be surprised to learn about an unusual design collaboration involving tiny homes. Photo: Retreat by Oakstone. 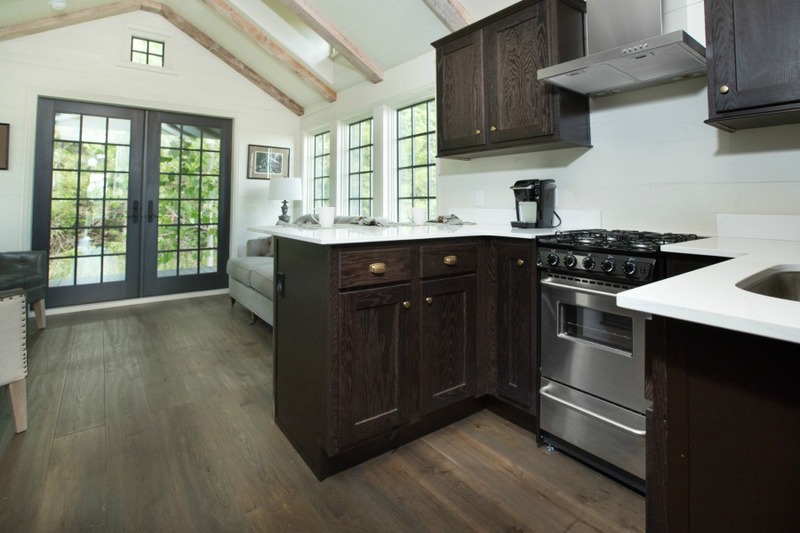 Low Country Designer Cottage Design: Jeffrey Dungan. 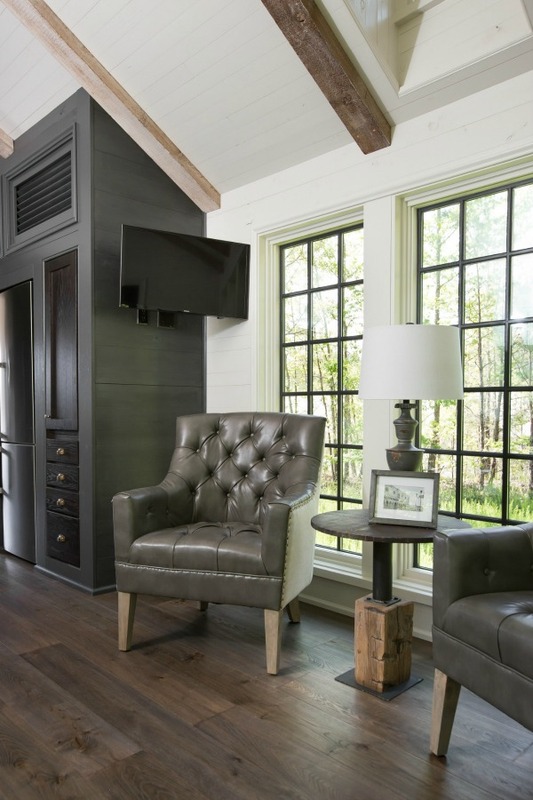 Interior design inspiration as well as architectural design ideas from a tiny home. Fall for an Amazing One Bedroom Wonder Home! 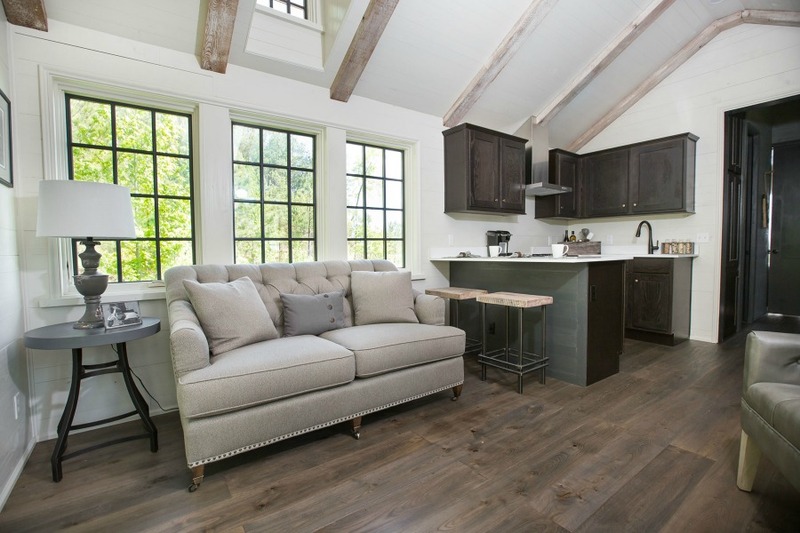 I stumbled upon The Retreat By Oakstone where the wondrous one-bedroom shotgun style Low Country Designer Cottage you see here is offered. 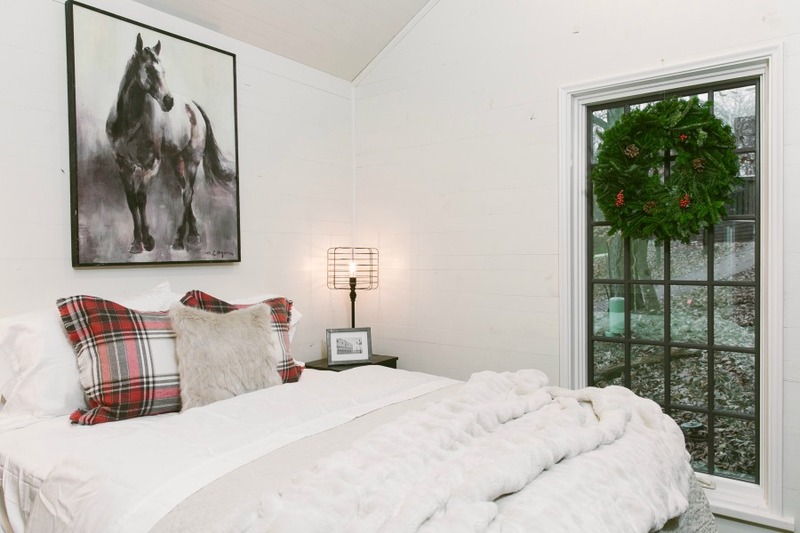 This tiny home is one of the Designer Cottages Dungan and his team designed, and it lit up my radar rather randomly as I was gathering info about lovely places to retire and Monteagle, Tennessee popped up. It seems more folks are now turning to tiny homes as a vacation home option! Photo: Retreat by Oakstone. 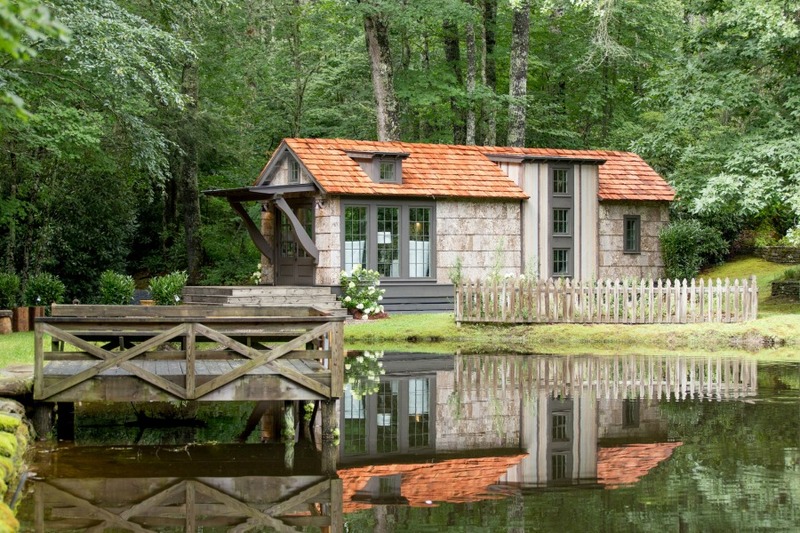 Low Country Designer Cottage Design: Jeffrey Dungan. 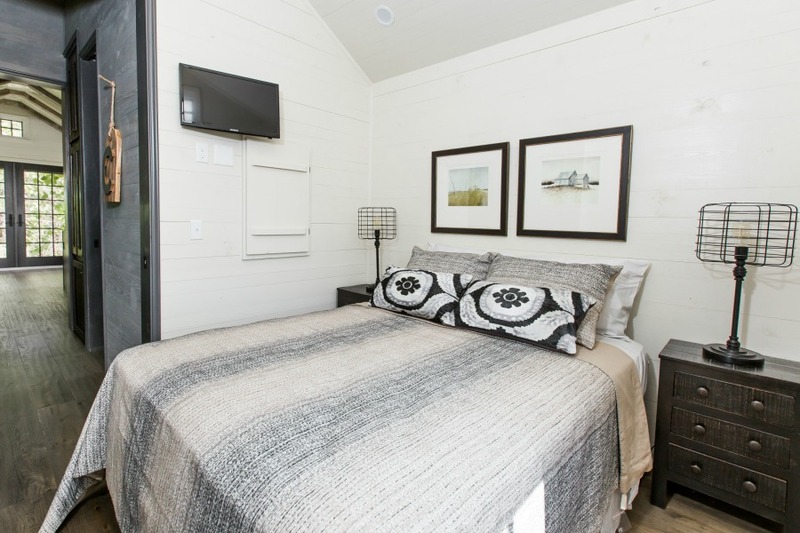 The 464 square foot Low Country Designer Cottage tiny house plan was inspired by the marshlands and coastal regions surrounding Savannah and Charleston. If it is simplicity, natural organic luxury, and minimal design with high-end finishes that you love, then this elegant one-bedroom home is destined to pull at your heartstrings. 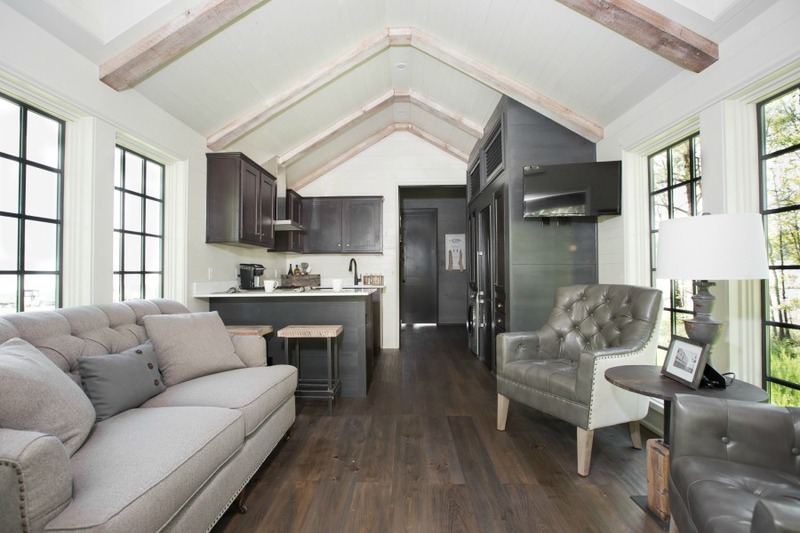 There are television shows devoted to the topic of tiny houses, festivals to experience them, even a tiny house movement as a growing number of people embrace the idea of small house living. Even folks who have no intention of downsizing to a tiny house seem infatuated with the concept and love to watch others go tiny. I have not yet evolved to the stage where I would live the tiny lifestyle well. When I watch an episode on HGTV about tiny house living, I am filled with curiosity about how daily tiny life looks for families with babies and young children. I must admit I’m fascinated by what rarely gets addressed…tiny house minutiae. What if someone within the 300 square feet snores? What if tiny impulsive toddlers decide to leap from a sleeping loft and land on the cooktop? What I do know is humans are mighty adept at adaptation. So I suppose, once you’re all in, with time, you adapt to the downsides of downsized. 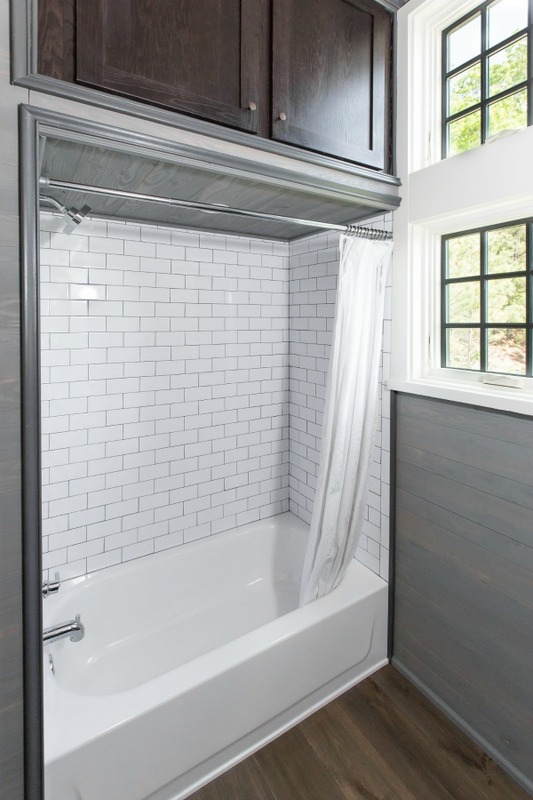 Folks who choose small house living are often experiential types who would rather spend time traveling and doing things they enjoy than spending it on home maintenance or long work hours to pay a mortgage payment. 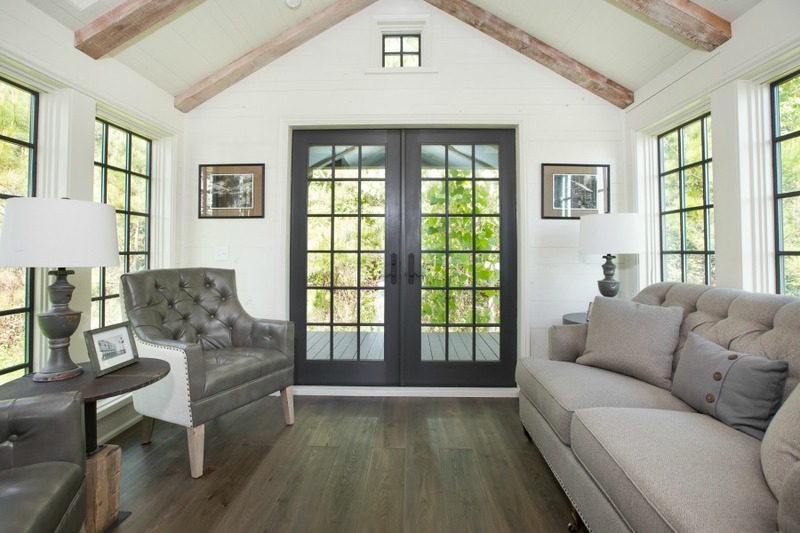 French doors: large energy efficient Ply Gem®. Combo washer/dryer: Summit Appliance®. Bathroom: tile tub surround. Kitchen: stainless steel Summit Appliance® range, dishwasher and 30” refrigerator. Living area can accommodate a dining room table to seat up to six. A covered porch with extended overhangs. Thoughtful architectural design incorporates: three walls of windows in the living space to allow for 270 degree views. High ceiling (9’ 5”) in bedroom. 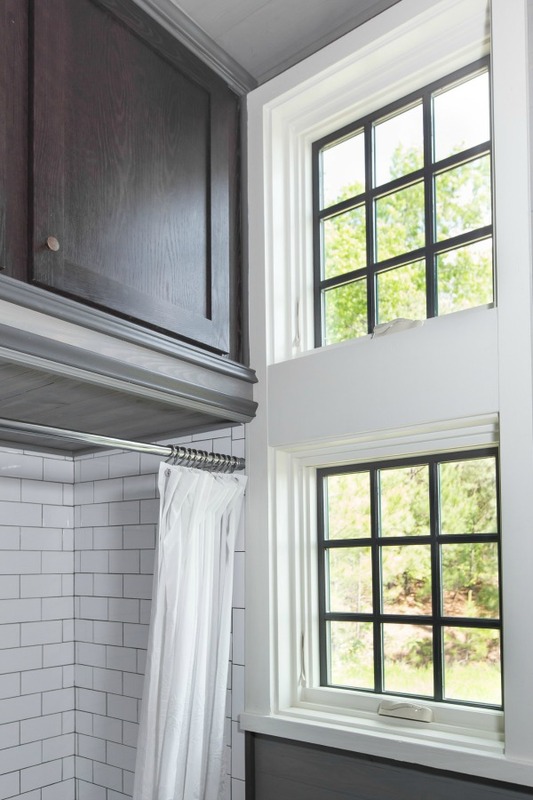 Sloped ceiling in kitchen, living, and dining spaces (from 9’6″ to 11’0″). Energy efficient materials include Ply Gem® aluminum clad windows and doors, space saving tankless water heater, and ductless mini split system. Would you believe that within these 464 square feet is a laundry area which puts my own to shame!?! If you have ever watched one of those tiny house television programs and wondered why anyone in their right mind would gladly pull down and then ascend a wobbly ladder to sleep in a loft nightly, maybe this will tingle your jingles. 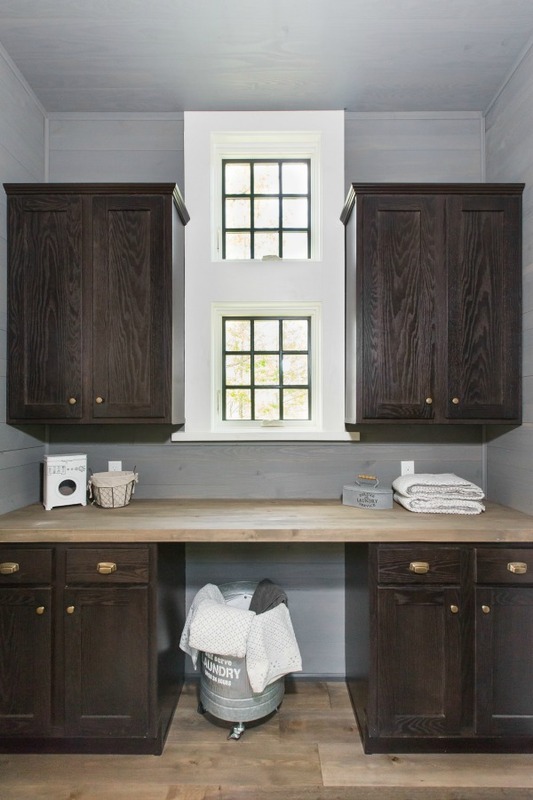 Is this the cutest little office niche, complete with window you have ever seen!?! Not Your Typical Tiny Shack! 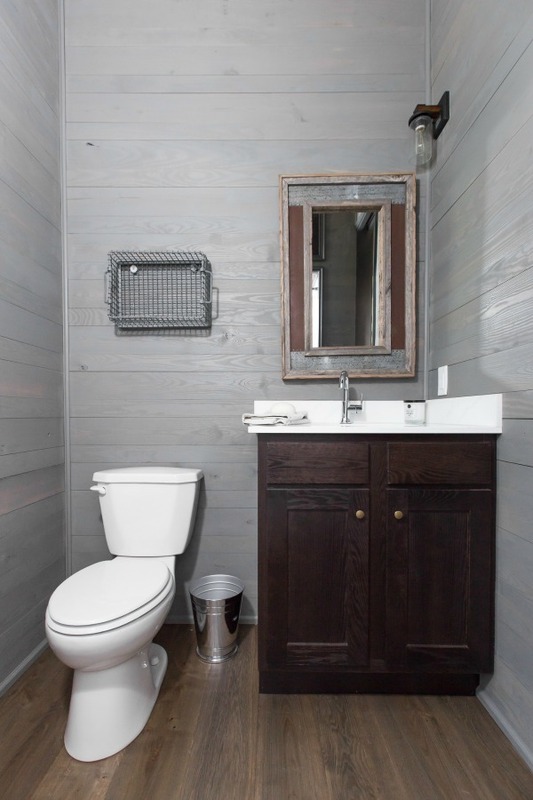 What a difference a lofty ceiling makes in a tiny bathroom in a tiny house! The vanity feels home-like rather than airplane lavatory-like. All of that vertical height is put to use as storage. 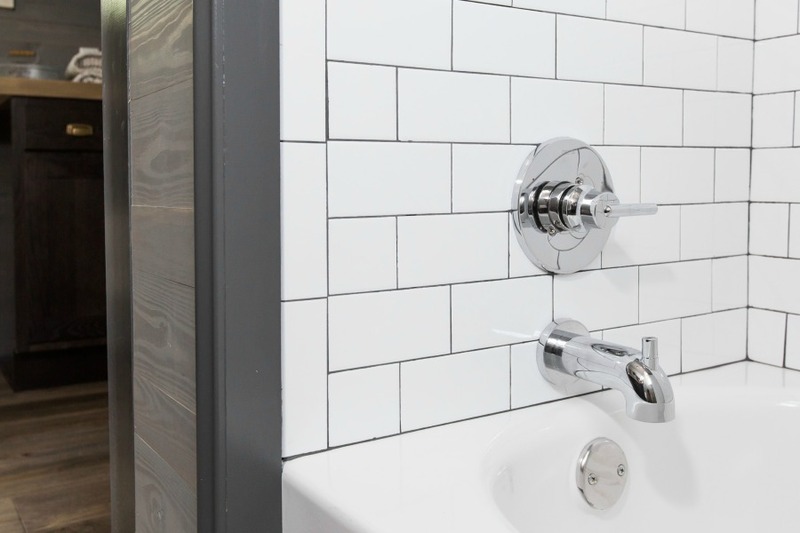 Classic and practical tiled shower surround. Natural light floods the space! 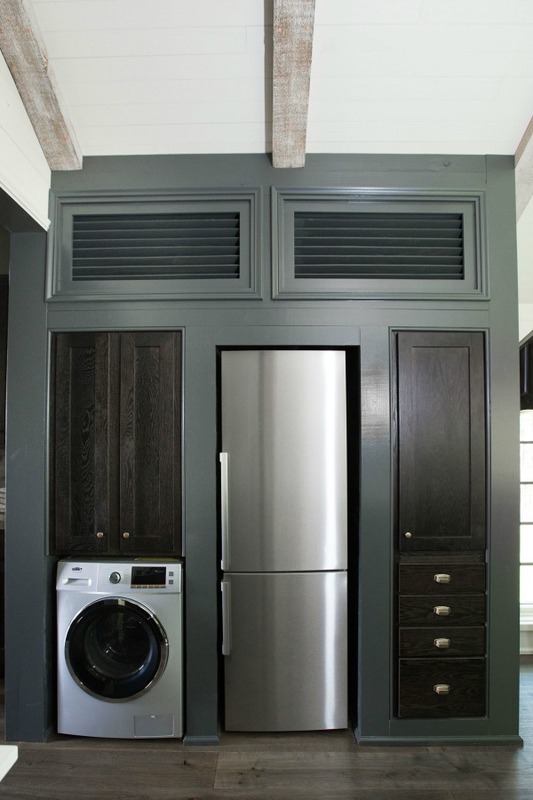 Look at the gorgeous millwork and design detail! Wait Til You See Another Kind of Tiny House! This time one year ago, I spent some time in Durango, Colorado, and the drive there from my son’s home in the Denver area treated us to the most spectacular scenery I have ever enjoyed! Here is an unusual custom tiny home in Durango you must see to believe! 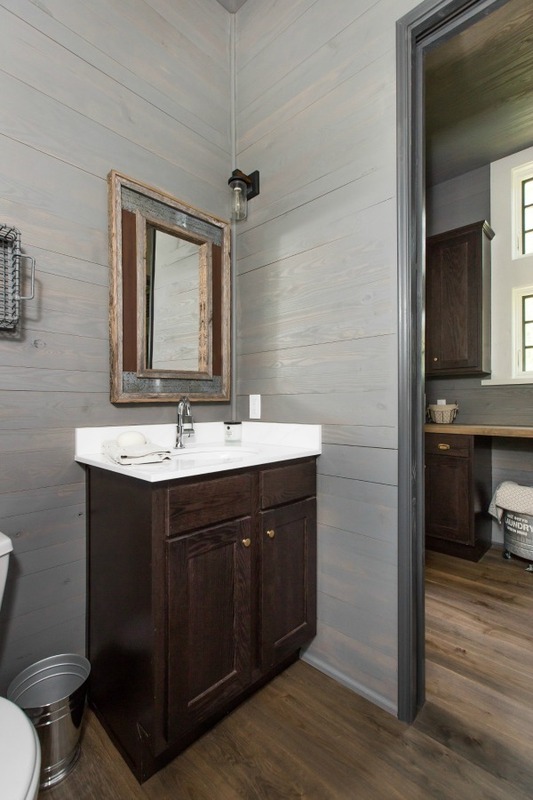 Darling Tiny House Cottage With Low Country Style! 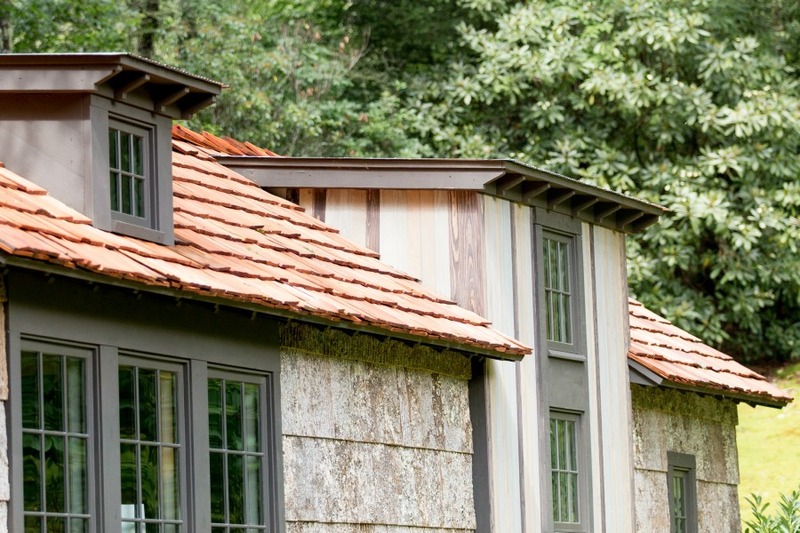 I can’t wait to hear your thoughts about this Designer Cottage! 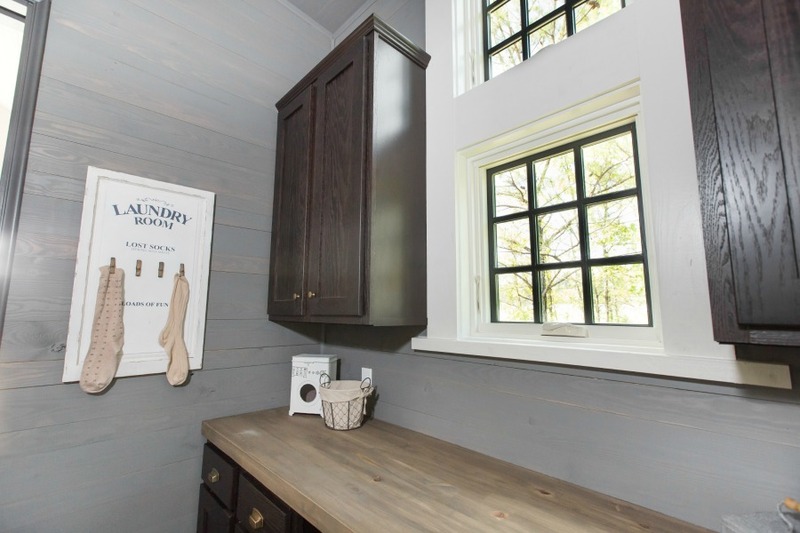 To see the other Designer Cottage floorplan, GO HERE to tour a saltbox tiny house. 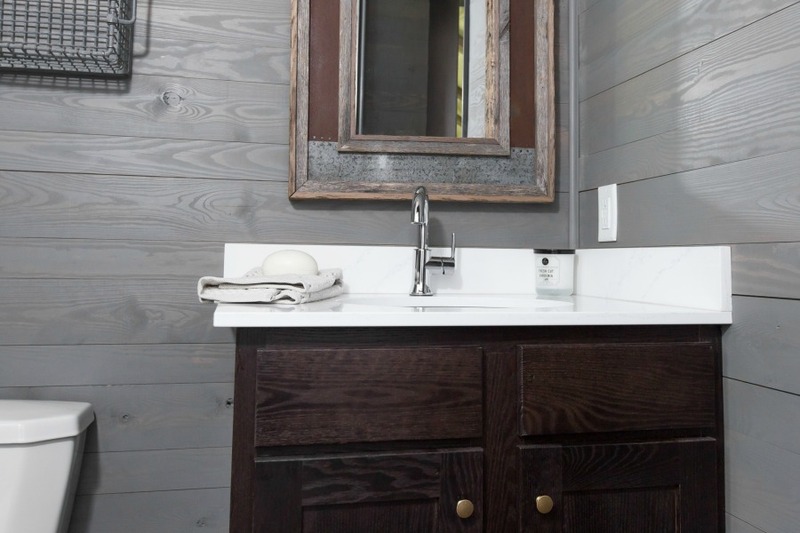 Visit HERE for all the details about The Retreat by Oakstone and check out the video tour which makes it fun and easy to go inside this adorable one-room wonder! Also, visit this story to learn more about Jeffrey Dungan’s lovely work. 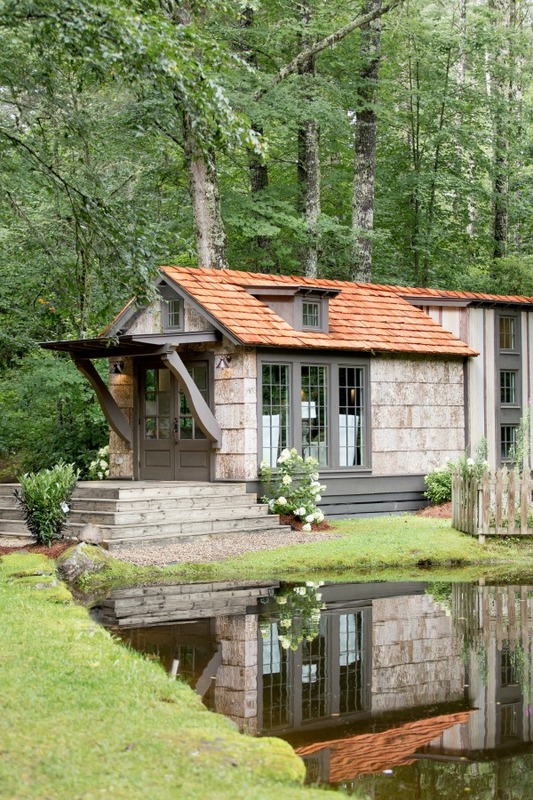 In THIS POST, tour an equally beautiful tiny house designed by Jeffrey Dungan…a salt-box style Designer Cottage! 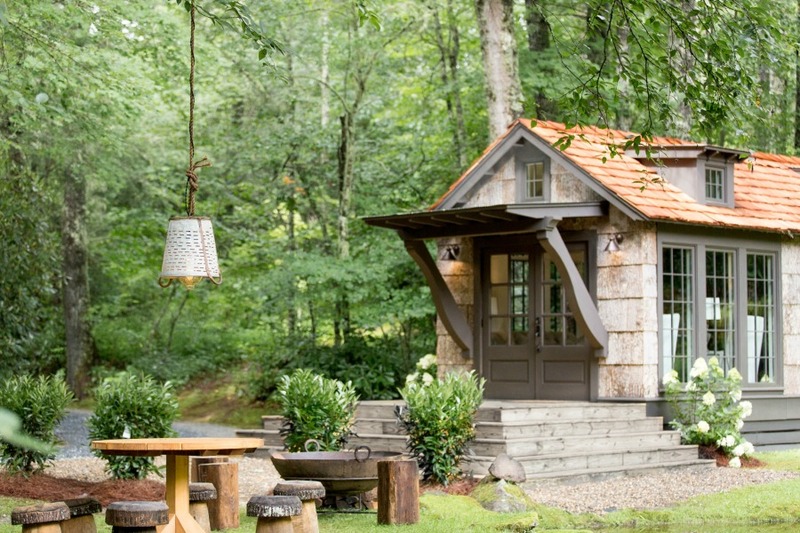 Next Post Tour a Charming Saltbox Style Tiny House! It’s lovely, but where do you eat? Three stools at the kitchen counter doesn’t cut it in such a high-end design. This would be a deal-breaker for me. I could live in a tiny house. I’m not sure under what circumstances I would need to but it’s a very livable house. In a warmer climate, you could eat outside for most dinners. It has a comfy bed, place to shower, a workable kitchen and a living area. What more does one Really need? We live on a 36’ boat for four months (mid May – mid September) of the year and do quite fine. It’s a lovely relaxing time on the water. But, I do enjoy my home at the end of the cruise and miss my garden. 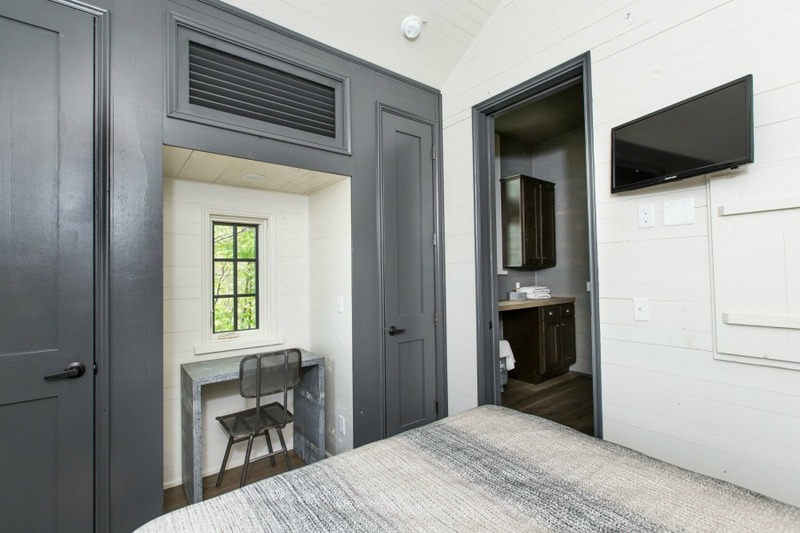 This tiny house is the most practical and livable tiny house I’ve seen, particularly with the bedroom being on the same level as the rest of the house. I spent time in a motorhome as a kid and I can attest to the fact that loft bedrooms are a pain. You have to climb up to get into them and once in them you cannot stand upright or necessarily even sit upright. You can only crawl or roll around to move in the space and making the bed is not a fun or easy activity to do everyday. 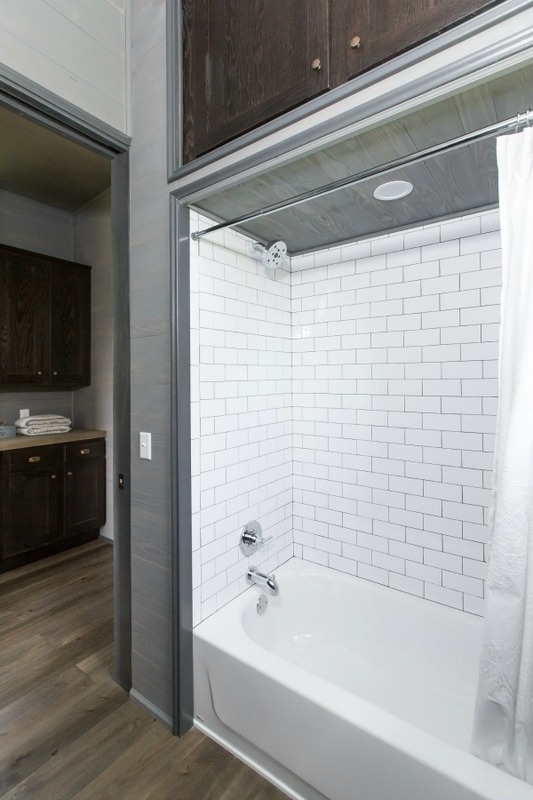 I also liked the low country style architecture of this design and that it included a laundry area, full bathtub and shower combo, and a small desk area. 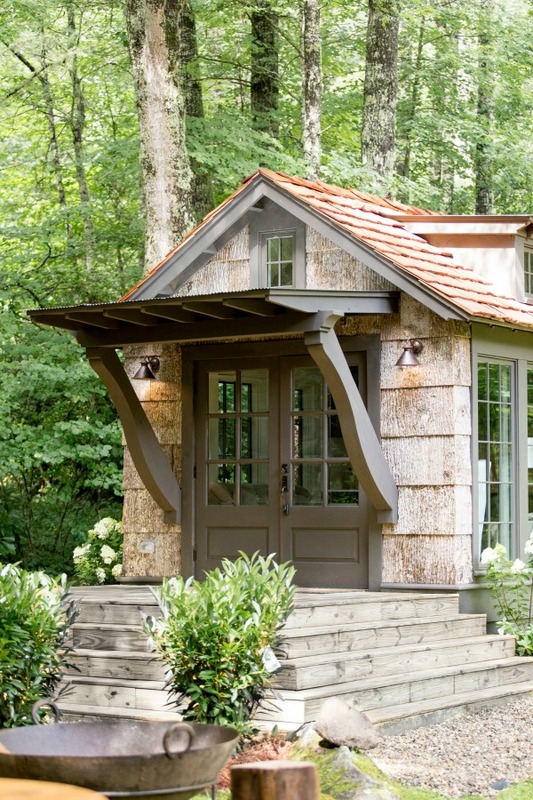 Kudos to the company that designed this tiny house. Thanks for posting about this design. 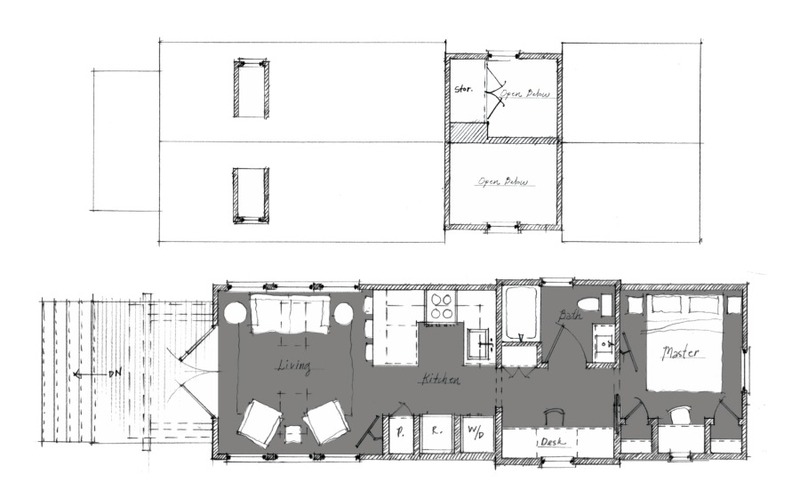 I thought the same thing as far as this floor plan with the bedroom at the back! I hope folks are taking the time to try out tiny living before jumping into it because all of the climbing and rubbing elbows is not for everyone. Some of us just don’t want that top bunk. 🙂 Jeffrey Dungan is legendary as an architect and totally delivered the goods on this project!